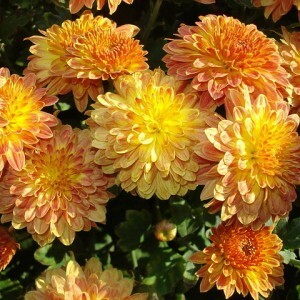 Chrysanthemum is a sort of perennial grassy and semi-shrubby plants of the family of Asteraceae, or Compositae. It totals, there are 29 types, conducting the origin mainly from regions of Asia with a temperate climate. The scientific people who are engaged in classification of land flora often subject to movement many types of the Chrysanthemum in the sort of Achillea or in the Sort of Tanacetum. It is based on mutual proximity of all three childbirth mentioned above. A throne of the emperor of Japan since it opened to the West (approximately from the middle of the XIX century), "the Chrysanthemum throne" is called in Europe and America.